Building a dream physique is every other people's dream. They work hard to build themselves and almost achieves it. But the only one part where they lack is the legs. In most cases, the bottom part of the body turns out to be the most underdeveloped part. In this article, I will be talking about the 5 best legs exercises which you can do to develop those underdeveloped legs. You can reduce lower back pain by doing leg exercises. Leg exercises help in burning calorie. You can develop overall body strength by doing leg exercises. Leg exercise reduces the risk of injury. Body Flexibility can be increased by performing leg exercises. Leg Exercise increases the weight lifting ability and develops performance. Sprint Speed can be increased by doing leg exercises. Leg Exercise can help in developing a good body balance. There are a lot more other reasons why we should train our lower body. There are a lot of benefits of doing leg exercises. If you think beyond the pain barrier, legs training can offer a bundle of benefits and can also help in developing the muscle gains. For athletes, the most important body part they need to focus on is their legs. Legs workout can improve their athletic performance. Legs exercises are very important as it increases the sprint speed of the sprinters. In this way, they burn more calories and stay as lean as possible which further improves their performance level. Doing legs exercises once or twice per week can improve your overall lift power. Your legs and core are the main body parts which produce the strength you need during your heavy lifting. Performing Squats and Deadlifts will improve your lower body muscle which will provide the base strength to lift heavy weights. Now let us hop on to the main topic. Barbell Squats is a compound exercise. And as you know compound exercises are the best exercises to build muscle and strength. Barbell Squats is the key exercise to build the muscle mass in the legs. 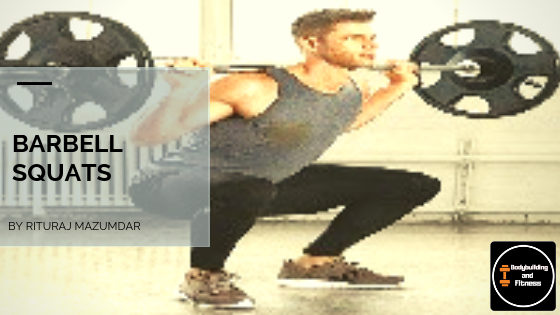 With barbell squats, you can handle a large amount of weight and it is an effective way to stimulate the muscle size and helps in strength gains in the entire lower body. Squats primarily target the quadriceps or the quads muscles. But also stimulates the other muscle groups like the hamstrings, the glutes, and the calves. Many people believe that squats can harm the knees and the lower back. But if you ask me, I would say squats are the best exercise to reduce the risk of injury. Squats must be performed with proper form and technique and you will find that it is the best legs exercise which helps in reducing the injury problems and strengthening the weaker muscle groups. As the name says, Seated Leg Press is a pressing movement done by your legs. 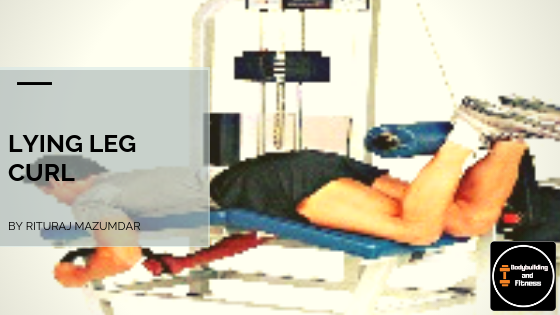 Seated Leg Press is one of the best leg exercises that help in activating the majority of the muscle groups in the lower body including the quads, hamstrings, glutes, calves etc. One of the major benefits of this exercise is that you can perform it comfortably by sitting or lying in a cushioned machine. Seated Leg Press helps to work out with the proper form. It is because with the natural sitting position of the leg press you are fully secured without worrying about any injuries. Seated LEg Press also prevents injuries. While doing this exercise you don't have to worry about the form as it automatically keeps you in proper form. Due to this, it becomes very easy to execute this exercise. Unlike Squats, which can lead to injuries, if performed with poor form. This leg exercise is the best replacement for the squats if you can't perform the squats in proper form. Dumbbell Lunges are one of the best legs exercises which can focus on each side of the legs individually. It is a very important leg exercise for the athletes who sprint and jumps frequently. Dumbbell Lunges can determine whether your one side of the body is stronger or weaker. Dumbbell Lunges works on each side of the lower body independently. It mainly works on the quads and the hamstrings. Dumbbell Lunges can help you determine which side of the body is weaker. You can train the weaker side and increase its strength by performing the dumbbell lunges with more sets on the weaker sides. 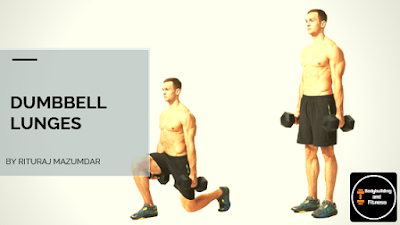 Dumbbell Lunges can be performed with the lightweight dumbbell and also with the heavyweight dumbbells. But there is a benefit of performing it with the heavyweight dumbbells. Performing the exercise with the heavyweight dumbbells can strengthen your hips, core, and ankles. If you want to target the quadriceps muscle of the legs, then the leg extensions are the best legs exercises you want to do. Leg Extensions is an isolation exercise. It is not hard on the knee joint if it is done correctly and it strengthens the quads muscle. It is a very important exercise in strengthening the patellar ligament and the quadriceps attachment of the knee. This exercise focuses on the quads strength and size. But the other exercise such as the leg press, squat, lunges also focuses on the hamstrings along with the quads. I can surely say that you won't have any weaker quads if you start performing this exercise. As because it is an isolation exercise, it can be a good finisher move on a great leg day. You can always perform this exercise after heavy compound exercises like the squats and the deadlifts. Many people hurt their knees by going heavy in this exercise but I would suggest to go light instead and focus on the squeeze od the muscle. As it is an isolation exercise, you don't always have to go heavy to build muscle. Lying Leg Curl is the best legs exercises to develop the hamstrings muscles in the legs. This exercise works the hamstrings more than any other exercise. 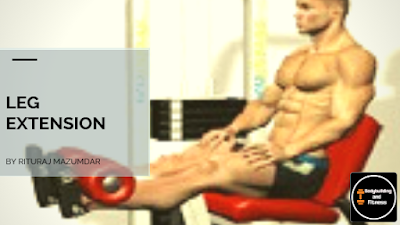 Leg Curl works the knee flexion function of the muscles and also isolates the hamstrings. While doing the lying leg curl, the muscles on the back of your legs known as Hamstrings, contract to bend your knee. The biceps femoris, the semimembranosus, and the semitendinosus muscles altogether make up the Hamstrings muscles in the back of the legs. The Bicep Femoris muscle in the largest muscle of the three. You can also pair up this exercise with another muscle building hamstrings exercise: Stiff Leg Deadlift. You can do the lying leg curl after completing the stiff leg deadlift. Combining these two exercises can do wonders for your hamstrings. 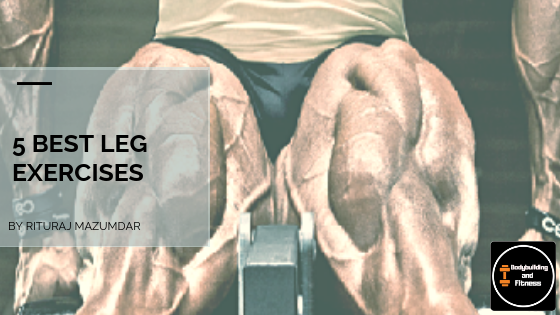 I tried my best in describing the 5 best leg exercises which can help you build muscle in your lower body and develop the symmetry you want. These workouts contain compound as well as isolation exercises. In my opinion, you should try to complete the compound exercise at the beginning when you have a lot of energy. Compound exercise like the squats should be done in the beginning. 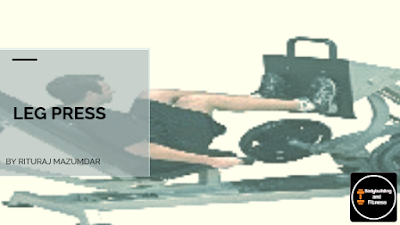 It will help you to go heavy and break down the muscle fibers for maximum growth. Leg Press and dumbbell lunges will also add more tension to the quads, hamstrings and the calves muscles. The Leg Extension will put a great tension on the quads muscle individually forcing it to grow. The Lying Leg Curl will be a great hamstrings exercise if you want to build the back of the legs. It only focuses on the hamstrings. For one piece of valuable advice, legs days can be a very complicated day. I would suggest you have a spotter for your own safety. A spotter can also help you in completing your desired number forced reps on the heavy. If you don't have a spotter, go light on the weights. Going heavy without a spotter can lead to some serious back and knee injuries. Be safe than Sorry! 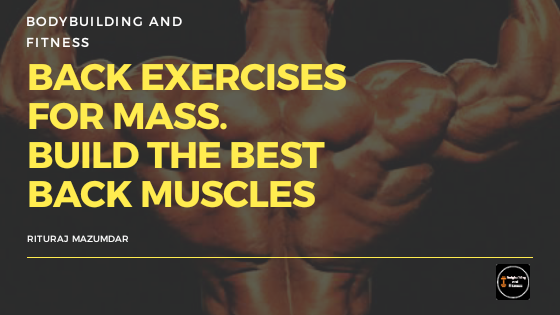 Hello guys, this is me Rituraj back with another muscle building article and this time I'll be talking about BACK development. Are you thinking about developing your back but stuck in a zone where you've no idea about how to train your back to have maximum growth? Well, I have the perfect solution for you. In this article, I will discuss the five best exercise which will help you to build the back muscles you want. Well before stepping up to the workouts I would like you to know that back exercises include a vast variety of rowing movements which plays an important role in building a muscular back. You just have to know which exercise suits you the best. So moving ahead, I am going to give you the five best exercise which I use to build a great back. 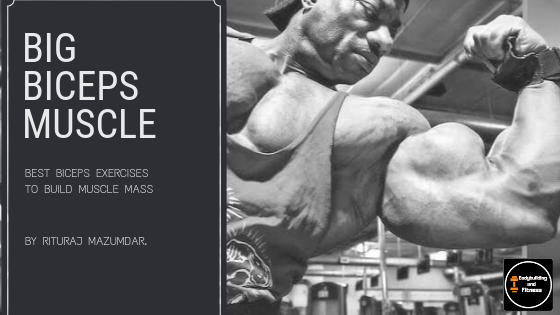 Have you ever thought about how this Mr. Olympia level athlete gets those massive guns? Do you want to have a workout to increase and gain biceps size? I am sure every newcomer in this world of fitness wants to have the biceps like that of Ronnie Coleman, Phil Heath, and Arnold Schwarzenegger. But, do you know how their key secrets of training and workout to get big arms and increase the size of the biceps? I am here to make to understand the secret recipe behind the gains of those biceps. The biceps, along with chest and triceps are one of the most highly noticed muscle groups in the human body. People will only realize your efforts in the gym if they notice your biceps size. Make sure you workout to increase and gain the biceps size. Are you spending hours in the gym with no improvement in size? I know you are probably thinking whether your chest size will grow or not? OK, calm down guys! Everything is possible if you are ready to give a little more effort. I can't say if you are going to have a chest like those Mr. Olympia level athletes but I can surely promise that your are going to develop some good size in those pecs. 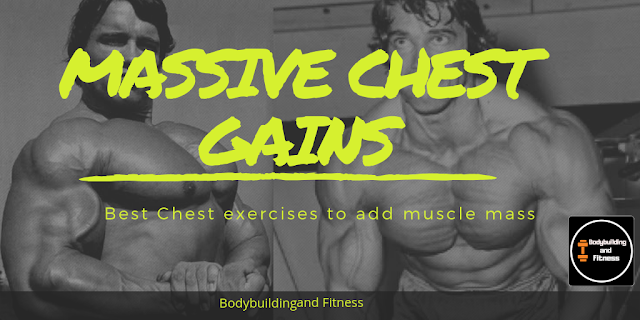 Today in this article I am going to show you some great mass building exercises for chest. This exercises, if done in proper form can surely increase the size of your chest in no time. In this article I will show you the 5 best chest workout to add on a great mass. The chest is made up of one single muscle but in order to train it in very effective way we have to divide its training into 3 different parts. The upper chest, the middle chest and the lower chest. This is the best possible way to train the chest muscle for mass.